Takehome: The catalog of goods subject to Taiwan RoHS has been appended. Five EEEs will need to comply with Taiwan RoHS from 1 Jan 2019. Taiwan’s Bureau of Standards, Metrology and Inspection (BSMI) published its RoHS-like regulation CNS 15663 in 2013 prohibiting the use of six restricted substances in electrical and electronic equipment (EEEs). It came into effect from 1 Dec 2016. 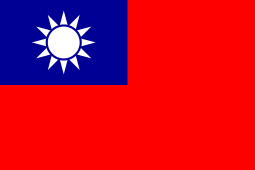 The BSMI designated and announced EEEs into groups and set different deadlines for full compliance with Taiwan RoHS. So far most EEEs have already passed the deadline and require compliance with Taiwan RoHS. 5 new products will require compliance with Taiwan RoHS from 1st of Jan 2019. Please see below table for details.